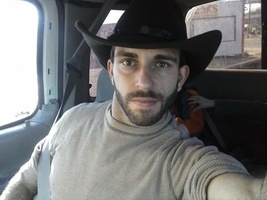 Provide comfort for the family of Joshua Munsen with a meaningful gesture of sympathy. Funeral services for Mr. Joshua James Munsen will be held on December 5, 2018 at Gallagher Funeral Home, Ball, Louisiana, with guest speakers, under the direction of Gallagher Funeral Home, Ball, Louisiana. Mr. Munsen, age 34, of Colfax, Louisiana, entered eternal rest on Sunday, December 2, 2017, at his companion’s residence. He is preceded in death by his maternal grandparents, Katherine and Milton Menard, Jr.; paternal grandparents, Ethel Chism and Jack Munsen. Joshua worked in the family business, Munsen Honey Farms, Colfax, Louisiana. He was an avid fisherman and enjoyed 4-wheeler riding, and spending time with his family. He is survived by his parents, John A, Jr. and Sandra Munsen; his long-time companion and mother of his children, Helen Chelette; four children, Jackson, Eli, Bethany and Katherine; brothers and sisters, John Milton Munsen, Amanda and Myron Bryant, Paula and Shawn Bailey, Mary and Jeremy Headrick, Anna and Lonnie Erp, Jeremiah Munsen, Hannah Munsen and Sarah Munsen. Friends may visit on Wednesday, December 5, 2018 at Gallagher Funeral Home, Ball, Louisiana from 5:00 p.m. until 8:00 p.m.
Friends may post online messages of condolence for the Munsen family by visiting www.gallagherfh.com. The Groh Family sent flowers to the family of Joshua James Munsen. To the Munsen family, Words cannot begin to describe how sorry I am that you have lost Josh. I loved josh like a brother and he was such a wonderful and good person. I wish I could be down to give everyone hugs. Love you guys and always will consider you my family. I am so sorry to hear of your loss. I did not have the pleasure of meeting Joshua, but am close to Hannah. Will be praying for family in this most difficult time. May God bring you healing. With our deepest sympathies, know that you and your family remain in our prayers during this time of mourning. 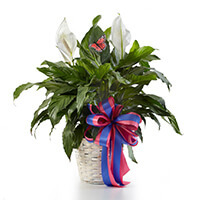 The Groh Family purchased the Classic Peace Lily for the family of Joshua Munsen. My heart goes out to the family. Josh was a good soul down to earth and caring He was always so kind and gentle and warm to me which told me so much about who he was. I will miss his ready smile, and pray for healing from emotional pain to his family, and Goes guiding hand for his children.